Carlos Tevez has dismissed claims that he is the world’s best paid player. The Argentine striker became the latest high profile him to join the Chinese Super League. He decided to leave Boca Juniors, a club which he adores, for Shanghai Shenhua. Even though the transfer fee was only reported to be around £ 10 million, it is rumoured that the player has become the highest-paid player in the world at wages of around £ 30 million per year. Chinese clubs have been on an extraordinary spending spree in January and they have recently brought in Oscar for £ 60 million. For a brief period, the former Chelsea midfielder was one of the highest earning players at around £ 20 million per season. It did not take long for Tevez to overtake the 25-year-old on this front. Without revealing the actual numbers, Tevez claimed that the figures being spoken on the Internet are certainly not true. If Tevez is indeed a £ 30 million per year, it would translate into weekly wages of just over £ 600,000. Cristiano Ronaldo used to be the highest-paid player on wages of around £ 300,000 per week. Tevez came to China only a few days ago and was mobbed by thousands of fans waiting for him at the airport. “The salary amount that people talk about on the internet is far more than I the actual one.I have never spoken about my salary in China when I was in Argentina. 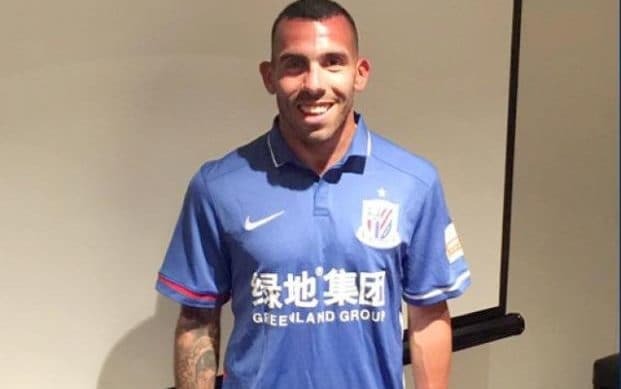 I think it shouldn’t be spoken publicly out of respect for others.As soon as I arrived and was greeted by so many fans here the other day, I suddenly realised that I have a new home.Mr Zhou Jun (deputy general manager of Shanghai Shenhua) showed his great faith in me when I met him in Argentina,” said Tevez.